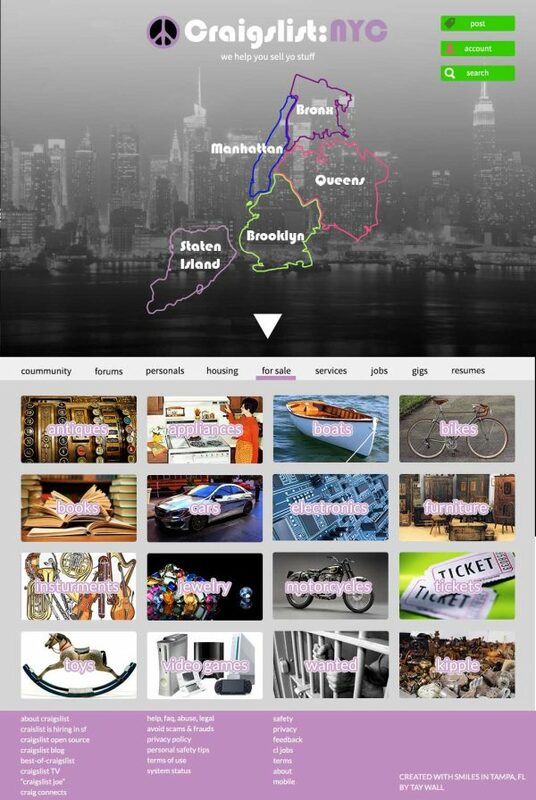 Goal: Revamp the craigslist.com branding and UI with fresh styling that would catch Craig’s attention on the interweb. We all love to hate craigslist. It’s an incredibly useful tool, but in the web 2.0 world in which most of us live, it’s like looking at, well, an old classified ad. When going to the site, I often feel like I’m staring at the digital equivalent of a phonebook. The UX works, but it almost makes my eyes bleed. At the same time, with all that white, there’s plenty to play with in terms of creating something totally off the wall. Enter Bauhaus stage right and neon stage left.